WB Hall H Panel Recap with Wonder Woman 1984 Footage & More! Recapping the WB Hall H Panel with Wonder Woman 1984 Footage & More! Recapped the WB Hall H panel with Wonder Woman 1984 footage & more! 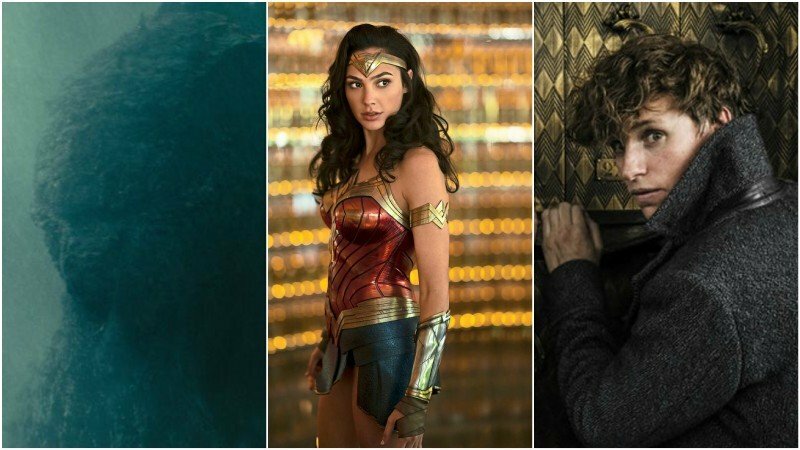 With many of the biggest guns of recent Comic-Con’s – Marvel, Star Wars, Game of Thrones – sitting out 2018 it was left to Warner Bros. to bring the thunder in Hall H this year and the studio did it’s best to deliver. Beginning with it’s now de rigueur opening of the hall’s side screens — which expand the viewing field for various presentations to create a more immersive experience – Warner Bros. launched into a mammoth two hour presentation which never let up. Starting and ending with the biggest films the studio has on hand for the rest of the year, moderator Aisha Tyler launched right into Fantastic Beasts: The Crimes of Grindelwald (as we were shown several times, it’s a German w, pronounced like a v) with an interactive opening thanks to wrist bans everyone was given which lit up on cue starting with series’ star Eddie Redmayne’s appearance on the dark stage. He was quickly joined by the rest of the cast including a giddy cosplaying Ezra Miller and new young Dumbledore Jude Law. Everything film related went out the window once the audience began asking questions, however, with Leta Lestrange actress Zoe Kravitz suggesting the best use of real magic would be to impeach the president, followed by the cast dissecting exactly how that would work with the returning Jacob Kowalski actor Dan Fogler (the cast-admitted master of creating new spells). All of that was put aside when the stage went dark and erupted in smoke as Johnny Depp took over in costume and character as Gellart Grindelwald to deliver a personal call to arms to the audience which hearkened back to Tom Hiddleston’s well-received turn in Hall H as Loki several years ago. 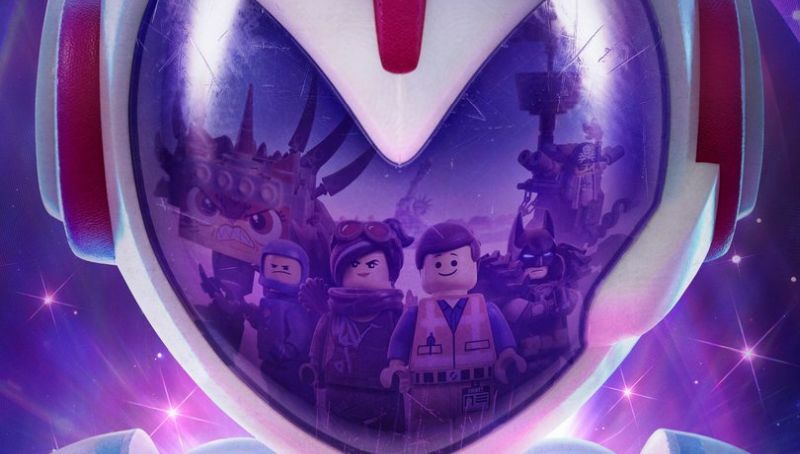 With no one interested in topping that the presentation zoomed on to The LEGO Movie 2: The Second Part with actors Chris Pratt, Elizabeth Banks and Stephanie Beatriz joined on stage by producers Chris Lord and Phil Miller (who had broken his wrist and naturally decorated his cast to look like the Infinity Gauntlet). “The film has two amazing casts!” Lord deadpanned. 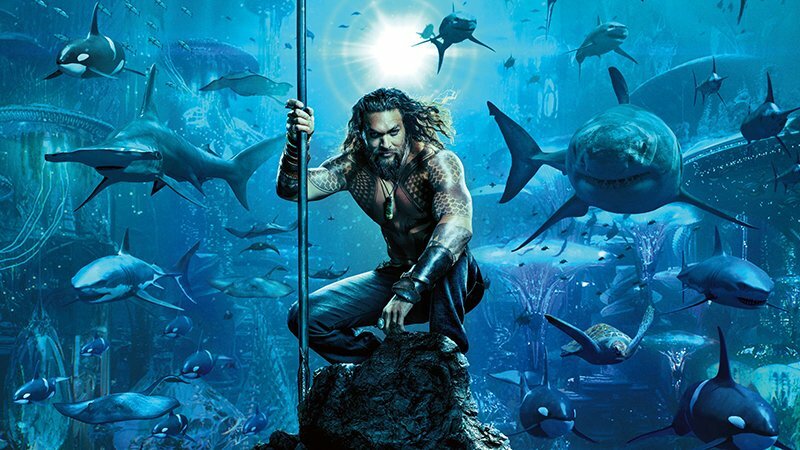 Showing of some stunning new footage of the upcoming film (including a great little teaser with Jason Mamoa’s Aquaman meeting his classic blonde counterpart) the filmmakers delved into some of the ideas behind the sequel. The new film will feature Godzilla doing battle with many monsters around the world as the secret organization MONARCH and the governments of the world try to decide what to do with them and if they can co-exist. 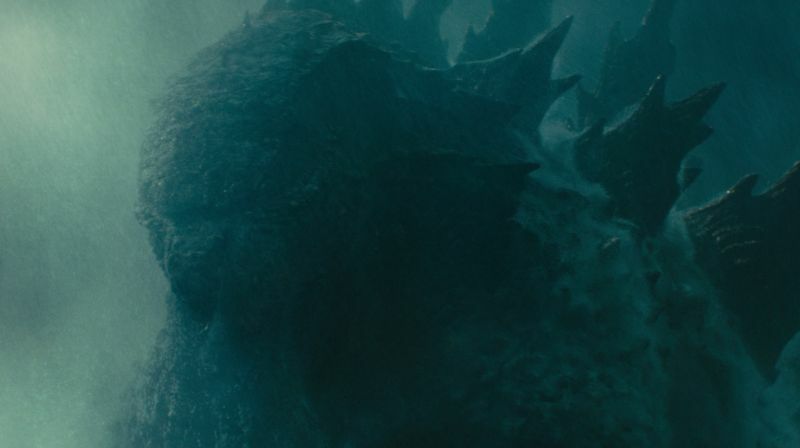 “At the start of the film there is this debate that monsters are real and people are concerned because we see cities being destroyed and whether to get rid of them or use them as a resource,” director Michael Dougherty added. Primarily the presentation was an outlet for premiering the new trailer for the third of Legendary’s Monster-Verse films, but it also gave Stranger Things fans a chance to find out just how British star Millie Bobbie Brown is (the answer is ‘very’) as she along with Farmiga, Thomas Middleditch and O’Shea Jackson joined Dougherty in stoking up the audience. All they really needed to do for that was unleash Jackson on the audience who was positively giddy about the whole thing. That last wasn’t metaphorical. Director Dougherty gathered up the classic roars of the various monsters the film will feature (including Rodan and Mothra) to play for the cast over loudspeakers so that they would have something to react as they looked up – which they spent a lot of time doing. “I had neck problems afterwards because we were always looking up so high,” Brown said. The entire last hour of the presentation was directed solely to DC films, with many understandingly curious how Warner Bros. will react to the pummeling Justice League took last year. Based on what was shown the answer seems to be ‘do the opposite of everything we’ve done before’ with all of the DC films filled with bright colors and featuring jokes and fun adventure over brooding and melodrama. And none were brighter, or more anticipated, than Wonder Woman 1984, the sequel to 2017’s smash hit due in 2019. Though just three weeks into shooting, director Patty Jenkins arrived with stars Gal Gadot and Chris Pine to a standing ovation and the world’s most obvious question: how is Chris Pine’s character still alive? “I’m actually not here, I’m just hanging around for emotional support,” Pine said. “He’s our water boy now,” Gadot explained. Jenkins did delve into why she picked 1984 for the setting of the film rather than present day. “It was very much mankind at its best and worst. We were at the top but not aware of it … there were a lot of elegant and beautiful things about the 80s even as we reveled in the worst. So there was no better time to have Wonder Woman see us at our most extreme,” the director said. Though filming was far too early to have anything remotely like a trailer ready, Jenkins did reveal some early footage from the film. In the scene Wonder Woman bursts into a very 1980s mall where she pushes a gushing young fan out of harm’s way and into the arms of a giant teddy bear. The heroine then disarmed a pair of would be robbers, crushing their guns like they were made of candy, wrapping them up in her lasso and jumping off a mezzanine to string them up like a pair of piñatas. It was all very Wonder Woman-y and a lot for the rest of the panels to live up to. It’s a theme which easily plays out in real life as, after showing off the Shazam! trailer, the conversation quickly broke down into Levy’s passionate argument for why teleportation would be the best super power to have. I buy it. I now officially renounce invisibility as the best super power. 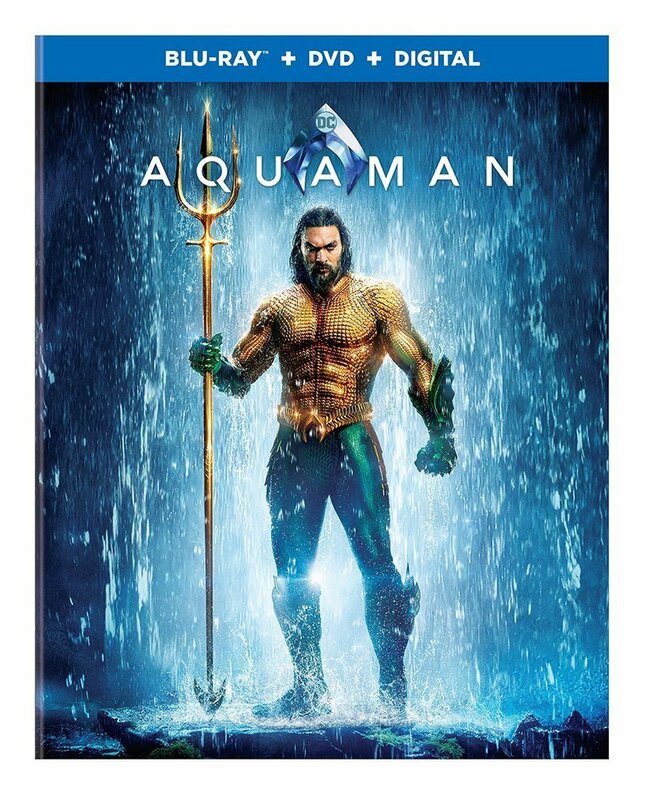 Warner Bros. saved it’s biggest splash for last as it filled the Hall H screen with waterfalls and then lifted Aquaman himself, Jason Mamoa, onto the main stage to thunderous applause. Mamoa was quickly joined by Amber Heard, Nicole Kidman (everyone keeps forgetting she’s in this movie but she is and she hits people with a big trident, a lot), Patrick Wilson, Yahya Abdul-Mateen II and director James Wan who was extremely anxious to show off footage of the film. Nor was he playing around as he immersed the cast both in their characters and in water for the film’s extensive action sequences. “We drowned Yahya,” Mamoa said, as Abdul-Mateen – who plays villain Black Manta — explained that he had never learned to swim and started teaching himself after getting the role. “I’m so lucky my opening scene was just lying on a rock with big waves crashing on me,” Kidman added. “Either you’re in armor and wet or half naked in tattoos and wet. The pants I wear, they look like leather but it’s not, its denim and when it gets wet it gets hard to move. I had one scene where I had to get low and James kept saying ‘get lower!’ and I’m like ‘this is it,” Mamoa said, explaining the sheer amount of chafing the cast went through during filming as much of the underwater material was actually accomplished on stage with actors hooked into flying rigs and stunt harnesses. The cast was in for something new as well. After the world premiere of the new Aquaman trailer, Wan brought out an almost entirely finished action sequence from the film as Aquaman and Meera, looking for lost ruins in a desert, are ambushed by Black Manta and his mercenaries. A longer, more involved version of the trailer it shows just how fearsome Black Manta will be on screen using his armors laser beams and various gadgets, and also how crazed Wan’s action filmmaking has become. The beats take place on multiple levels as Meera runs from rooftop to rooftop while mercenaries chase her charging from building to building and attempting to shoot up at her through the floor. The sequence also showcases some of the repartee and humor the film is going for as Aquaman (less gloomy and more bro-y than in Justice League) and Meera attempt to dissect clues on their quest before ending on the reveal of something fans had been wondering about for a while – Mamoa in costume in the classic Aquaman look complete with green gloves and pants and chain mail shirt. The look comes across more like armor than spandex with the orange of the comics replaced with gold on the shirt. It fits right in with the colorful world Wan has created for Aquaman. How good was it? When the lights came up Jason Mamoa grabbed up every chair on stage and tried to dash them to pieces on the floor out of sheer exuberance. THAT, is Hall H.